Hi there! 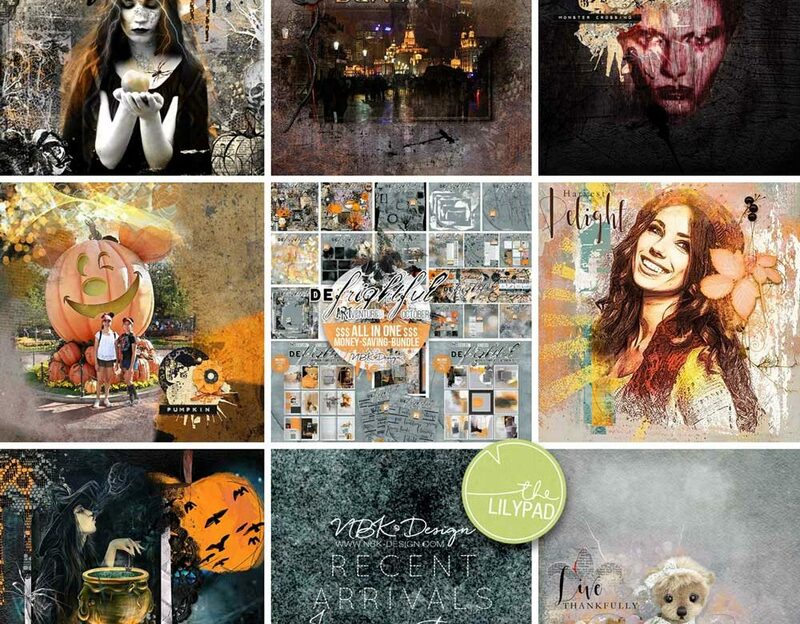 CTM Anne/aka Oldenmeade here, showcasing some of the layouts the CT have made with NBK Design’s spectacular deFrightful collection, which was recently released at The Lilypad. 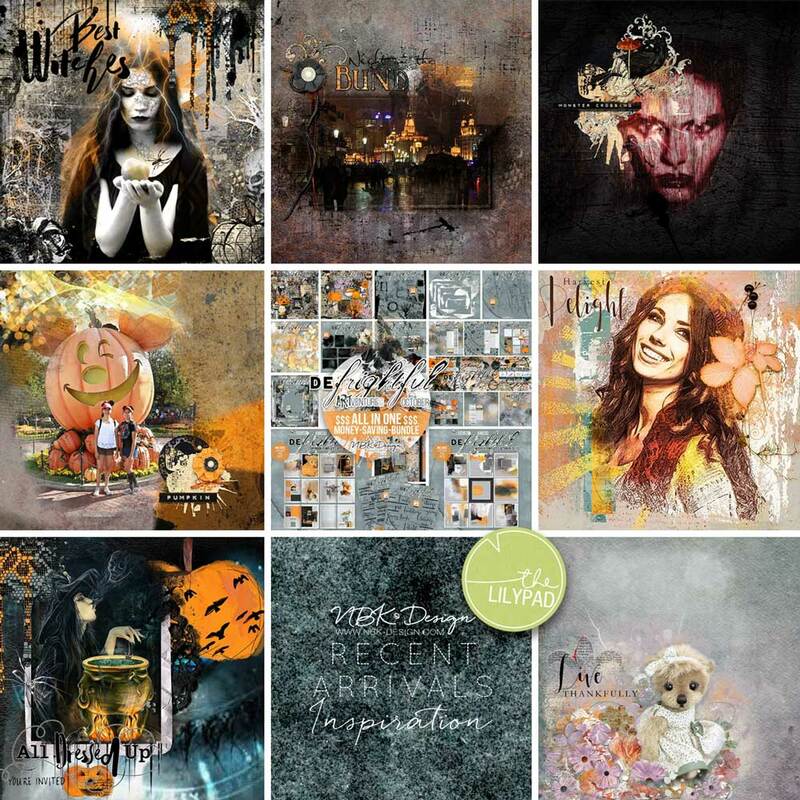 Both the Word Arts and Artsy Bits & Pieces come in two different versions – one for Halloween and one for Thanksgiving/Autumn, so it’s a very versatile collection.